Olivia Garden is introducing its first hot tool, the Ceramic + Ion Professional Hair Dryer, to salon professionals. Engineered with a powerful professional motor and advanced ion technology, the new dryer delivers fast drying and controlled styling. The high-performance hair dryer is equipped with an advanced ionic generator to seal in moisture and eliminate frizz. Ceramic technology, also found in Olivia Garden’s signature brushes, helps prevent heat damage and promote smooth, shiny hair. In addition to interchangeable nozzles (65 mm and 80 mm), the two-speed Ceramic + Ion Professional Hair Dryer features three heat settings and a cool-shoot button to lock in style. 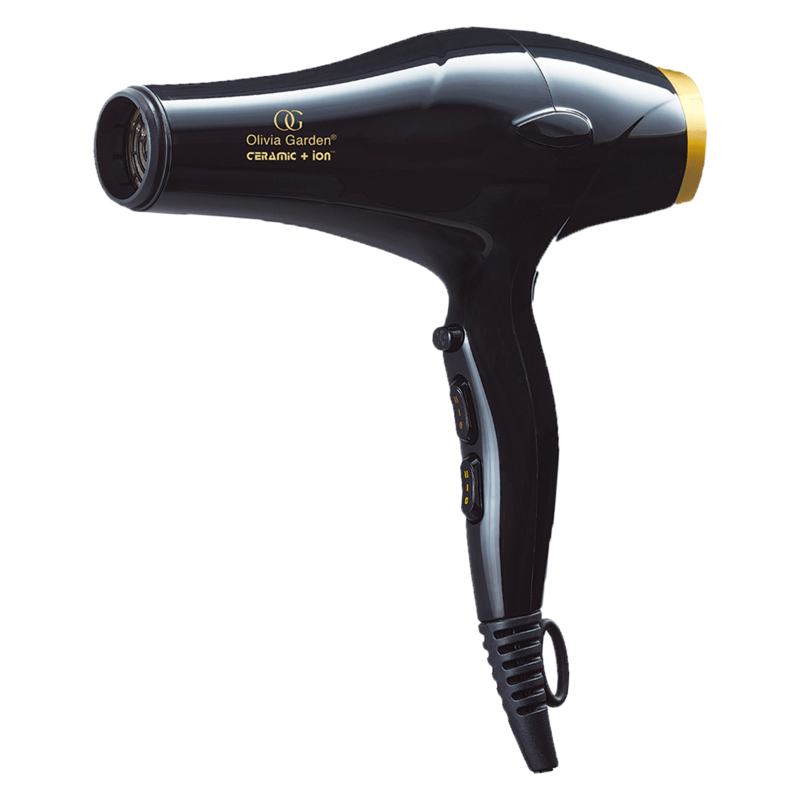 This ultra-light hair dryer weighs 14 ounces and was crafted with an ergonomic handle for everyday use. It includes an air filter, an extended 9-foot cord and a hang loop for storage. Additional features include a protective drawstring bag and a limited 2-year manufacturer's warranty.